The Howard – Reviews & More! 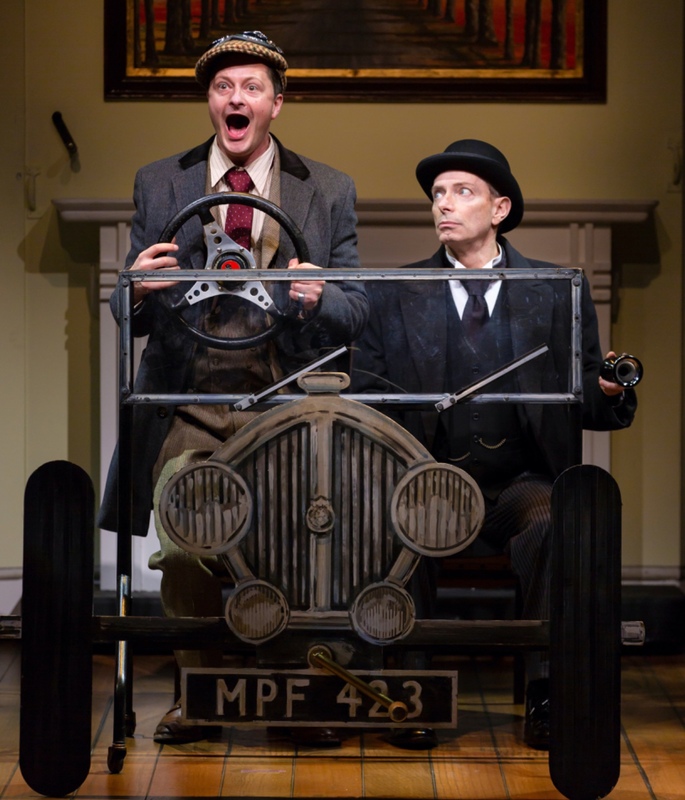 I say I say I say- it’s a British Invasion- extraordinary extraordinary in every way is Jeeves & Wooster in “Perfect Nonsense”. If comic novelist P. G. Wodehouse played dice with the comedy universe – we would have a cross between gap toothed Terry-Thomas, Des O’Connor, Bennie Hill, and Mr. Bean in the likes of the inebriated upper-crust Wooster and his “oh so clever” gentleman’s gentleman the one, the only the original “Jeeves”. My friends, this is British tongue and cheek humor at its finest. Bravo to the Hartford Stage for providing this most excellent entertainment to the the colonies, since the invasion of those Fab Four chappies. I say, I say I say! Yea, yea, yea to the Oliver Award-Winning comedy from brothers David and Robert Goodale, and directed by Sean Foley from its original London West End production. For those in the need for a meet and greet – so you never heard of English born P.G. Wodehouse you say? My my my – Sir Pelham Grenville Wodehouse, famed Broadway lyricist and playwright, columnist, and most noteworthy – humorist novelist, with the creation of such memorable characters including; Augusta “Gussie” Finknottle, D’Arcy “Stilton” Cheesewright, Pongo Twistleton, Ronald Psmith, and of course the already mentioned Bertie Wooster and Reginald Jeeves. Folks, P. G. Wodehouse was indeed the “The Laugh-Maker of his day. Now, as soon as Jeeves and Wooster is over today, I strongly urge you to download one of his novels – start with “Thank you, Jeeves”, it’s the one that started it all and introduces you to these beloved characters. 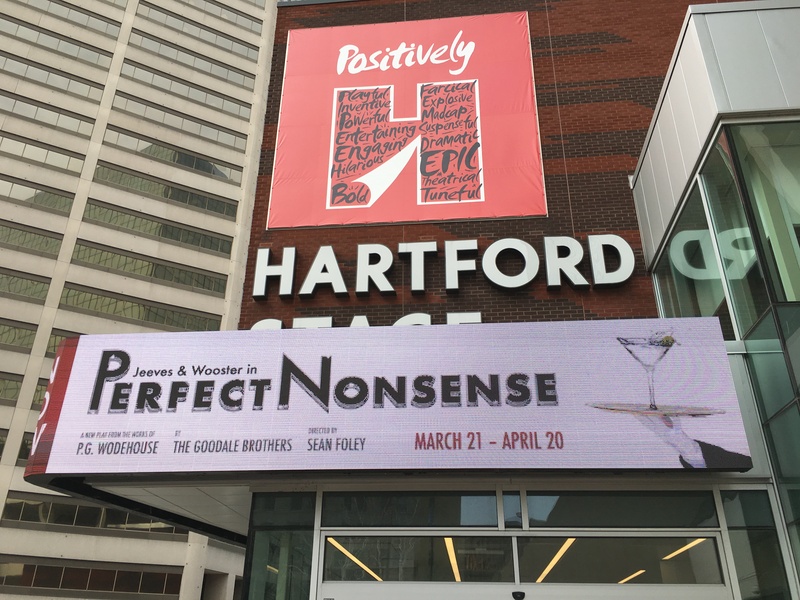 Ok folks here we go- it’s time for “Perfect Nonsense” at the Hartford Stage, if you still need a “what’s it all about” think the 1981 film “Arthur” – starring Dudley Moore and not the 2011 disaster of a retread starring Russell Brand. So here I sit in Section D, Row 7 (thank you so much Miss T.) as there is nothing better than a live theatrical performance, and this my friends is a doozy of a good time. 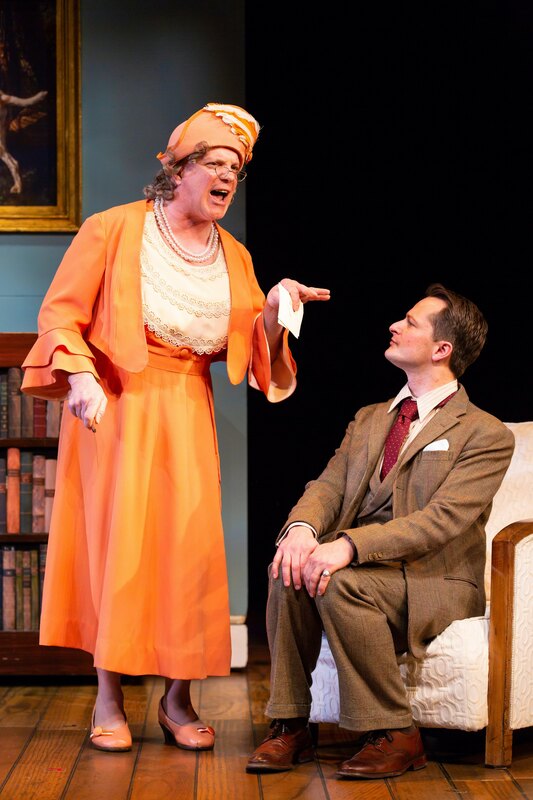 I beg you from the start to listen to Wodehouse’s wordplay, the puns, and those little bits of theatrical nonsense that will find you and your theater mates laughing and rolling in the center aisles. 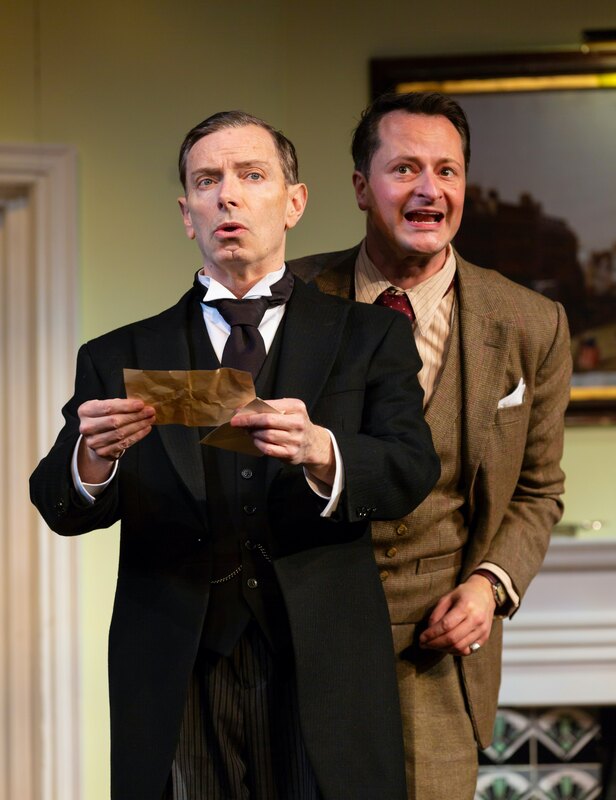 A theater within a theater- here we meet Bertie Wooster (Chandler Williams), who has set himself the task to do a one-person theatrical performance- “how hard could it be”? Hmm it’s pretty hard and he soon calls in for assistance from his tried and “true blue friend” and valet the one and only “Jeeves” (Arnold Burton) and enfeebled butler Seppings (Eddie Korbich) to assist him bring about the production, which includes them playing an assortment of multiple unforgettable characters. The production by Wooster which centers on his most recent experience at the Totleigh Towers, yet eventually turns into a “Who dunnit fun-it” as they search for the elusive “silver Cow creamer”. 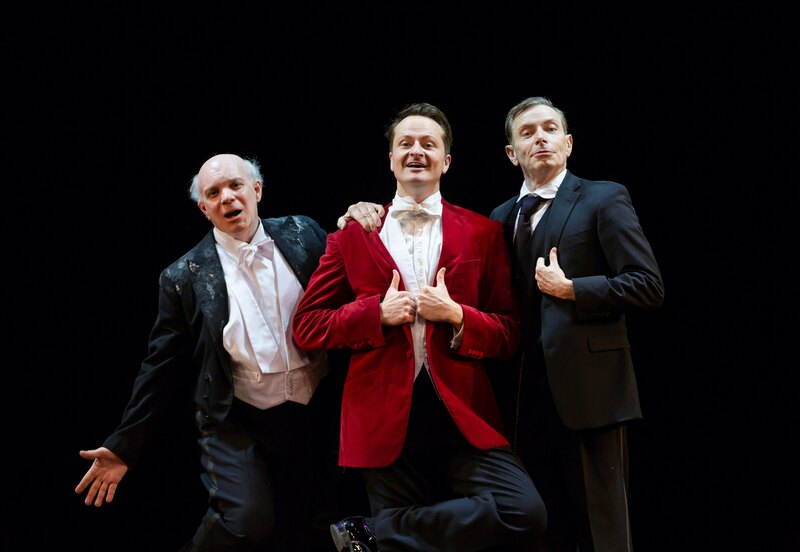 Let me say quite rightly besides the wonderful use of the English language, a bit of a drawing room comedy, Jeeves and Wooster is indeed a comedic journey filled with wild imagination and a ballet of action packed humor. This is a highly visual piece, things come and go rapidly – in instantaneously orchestrated sequences- the steering wheel currently on the American driver side right – quickly traverses to the English driver side left, a fire place flutters with some augmented poles and paper, wheeled sets come and go, actors change clothes on set as swiftly as new characters are introduced. Yes your head is revolving and you don’t want it to stop. We give major props to Scenic Designer Alice Powers for making her minimalistic sets provide us such grand illusions- from a blank theater, a country drive, to the inside of Totleigh Towers. I rightly give all our three leads the coveted “Howard Noticed You Award- to actors Chandler Williams, Arnie Burton and Eddie Korbich- this triple treat trio is remarkably talented, and a joy to behold in all their numerous comedic trials and tribulations. Enjoy! 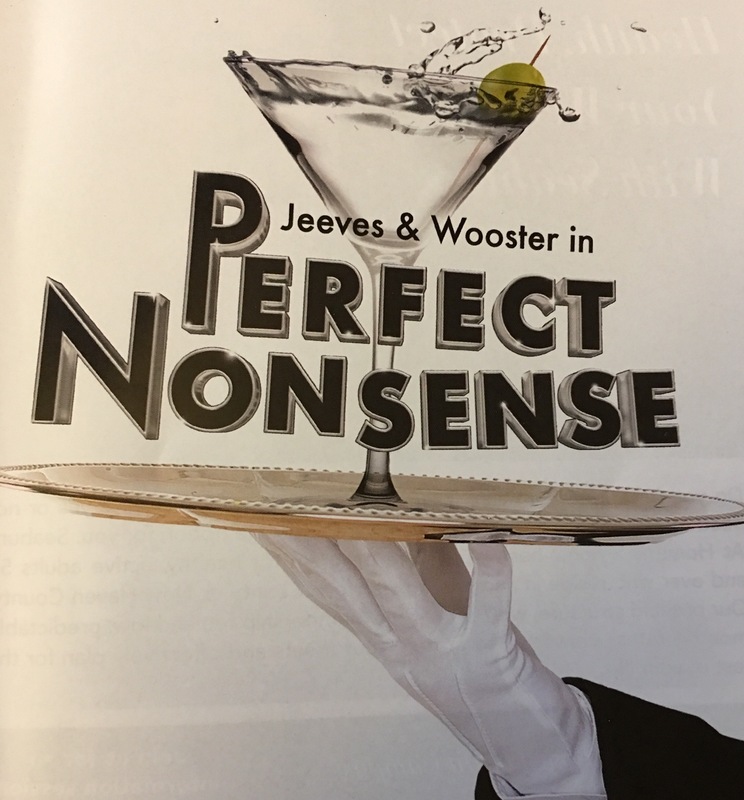 Tickets for the Hartford Stage production of Jeeves & Wooster in “Perfect Nonsense ” are on sale now and can be purchased by calling (860) 527-5151 or by visiting http://www.hartfordstage.org. 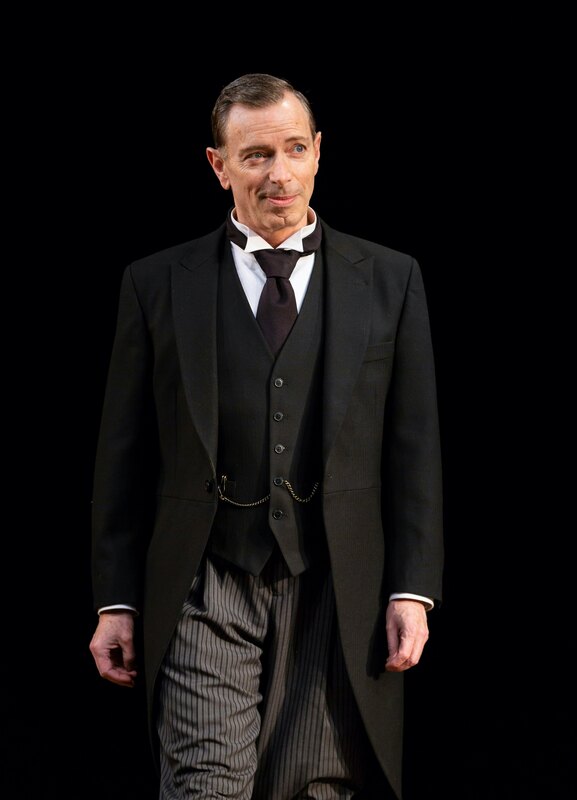 Weeknight and evening performances begin at 7:30 p.m. Matinee performances are Saturdays, Sundays and select weekdays at 2 p.m.
Howard Steven Frydman is General Manager and Executive Director of BATV – Channels 5, 95 & 96 and a member of the CCC. Please feel free to contact Mr. Frydman with your thoughts and ideas at Howards2424@gmail.com. 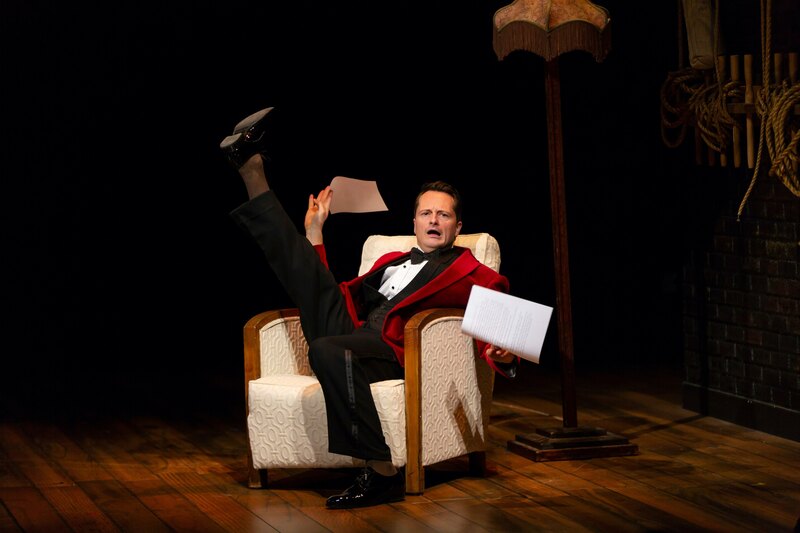 This entry was posted in Howard, Howard Steven Frydman, The Howard, Theater and tagged Hartford Stage, Howard Steven Frydman, Jeeves & Wooster, plays Theater, The Howard. Bookmark the permalink.